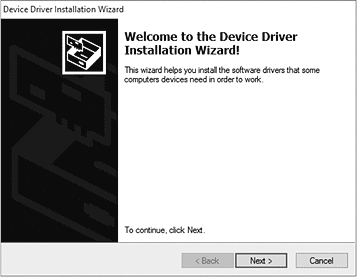 This text describes how to install the U86 XT driver under Windows 10 (32- or 64-bit). The process is virtually the same for Windows 7, Windows 8 and Windows 8.1. If U86 XT is connected to your computer with the USB cable, disconnect it now and make sure it is turned off. You will need to connect it again later during the installation. Confirm it by clicking Install. After a while the installation then will be completed and the following dialog on the left will appear. Once you see this, click Finish. We strongly suggest to select Yes, restart the computer now and then click Finish on the dialog above right. If you can see it, the driver installation has been completed successfully.